Deep stories told impressively inside beautifully composed jazzy music... I would describe For You, Lou Tavano's debut album in ACT, with these words if you asked me to make it short. However, these stories, impressive vocal and unique sound deserve more, even if it is hard to define music with sentences. Lou Tavano's unique way of singing is the first thing that hit me in the album. She has a style of almost flowing-words. It feels like she can sing every lyrics within every composition just by tuning the pronunciations a little bit. On the other hand, her expressions are clear and definite too. She uses her vocal as an equal partner of other instruments rather than being the main character above all. The instrumental performances are also extraordinarily remarkable compared to a vocal album - some of them can be shown as stand alone pieces even if you mask the vocals virtually. The pianist Alexey Asantcheeff seems to be the hero of the album with his name visible in almost all compositions, arrangements and lyrics. The dedicated "thank you" in the liner notes from Lou Tavano to him is another solid evidence of that. They have been working together for a long time (released the previous album together) and you can feel it also in the organic harmony between piano and the vocal in this album. Quiet Enlightenment starts with "wake up" whispering repeated within the song from time to time. Full of touchy words possibly of a children for a passed away dad, lyrics are far away from being part of an ordinary song carrying chorus-like structures. Actually, this is more or less the general characters of lyrics, which are written mostly by Alexey Asantcheeff and Lou Tavano. Emotional Riot starts with a dark ambiance followed by some increase in tension through the middle - consistent with the title. Lou Tavano tries some high registers and becomes successful both in tone and speed. The contribution of the woodwinds to the overall energy and Ariel Tessier's groovy performance on the drum-set are highlights. The Letter is a short and hopeful piece with naive piano partitions from Alexey Asantcheeff and nice accompaniment from Alexandre Perrot (bass) and Maxime Berton (saxophones). Rest Assured is among pop-smelling pieces of the album with dance-rhythms pushing you to hands-up state. L'Artiste makes me very happy as someone fond of French speaking vocals. 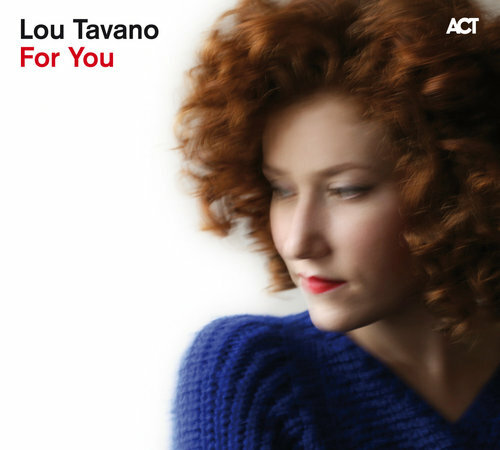 Different than well-known jazz divas from France, Lou Tavano's French style is more crispy and sounds more like the streets of France - I almost feel like listening to first times of Edith Piaf. The title track is an impressive one with vocals travelling beautifully between highs and lows both in octaves & emotions, minors from the piano and muted trumpet of Arno de Casanove. It's A Girl is about a new baby and the parents. So the music carry its energy. Attack-full drum partitions and lively solo of flugelhorn are all results of this energy. Lou Tavano supports her vocal with her own scats. The Call is like the serious brother of the album and its lyrics (from Arno De Casanove) sounds like they are written for a lost friend. Especially the poem-like part with energetic rhythms in the middle are impressive. Bavoushka is just a Russian dialogue connected to the next piece. Petite Pomme is another French piece including also Russian poem-like parts. All Together is like a message to whole world - wishing for a border-less, fearless, war-less life on earth. The vocal is supported with children's performances. How essential it sounds in these hard times! Afro Blue (Bali Hues) is one of the most impressive covers I have heard for this amazing, time-less composition. It all starts with a hard-to-recognize texture and with first naive words from Lou Tavano, I decide that she turns into a successful black singer in this performance. Percussive movements and backvocals give a very groovy overall feeling and the tensional changes in the performance results in a very catchy, dance-able and moving ambiance. The last track Through A Nightmare's energetic trio piano performance between quiet vocal parts shows how successful the instrumental structure of the album is too. The album is recorded at Studio de Meudon, July 2015 by Philippe Teissier Du Cros (assisted by Clement Gariel). Mixing is achieved at Studio Boxson by Philippe Teissier Du Cros too. Raphael Jonin mastered the album at Jraphing. The album is produced by Sebastien Vidal and the executive producer is Onde Libre. The record quality is fairly good for the crowded setting for most of the time. They will be performing for the release party of the album in Duc Des Lombards in Paris for 3 days starting from tomorrow - March 31st.